So What Does Your Opener Do Anyway? 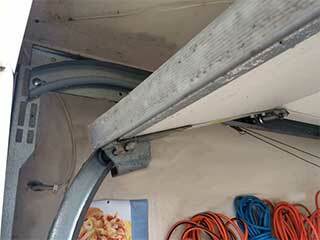 Despite its name, the opener isn’t the part of your garage door that's doing the heavy lifting. Instead, it uses its motor to powers the real muscles, the springs, so they can get the job done. Still, being an engine of sorts, there are several different things that can go wrong with this component. If neither your remote control nor your wall mounted keypad mange to get your opener going, there could be a few issues at hand. Most of these models have an antenna through which they receive the signal from each respective control unit. If the antenna is dangling or has been damaged in some way, the issue may likely lie there. If not, it may unfortunately be that the motor has died inside the unit, and needs to be switched out. Our professional technicians can help with that. Does your door moves down normally, but begins to rise again before it’s reached the floor? It may be because your rollers have accumulated rust, or been damaged in some way. This causes a lot of friction, which confuses your opener into thinking the system's already closed. Repairing or replacing them should solve it. If the rollers are fine, the issue could lie in a specific screw that's used to essentially let the motor know when the door is shut and that it can turn off. It might have gotten tricked into thinking the door is already closed, so the setting needs to be fixed. The Door Won’t Close All The Way! The most common issue here is your opener's safety sensors, which keep the door from closing down if an object is blocking its path. The sensors may either be blocked by an item in your garage, or have gotten tweaked by accident and they’re no longer pointed in the right way. Our professional technicians will be happy to provide you with the necessary adjustments.